The twenty-four hour postal strike in the UK is the type of ‘little local difficulty’ large enough to require an immediate response from a new political leader. Even with his formidable energy, Gordon Brown could do without confronting an industrial dispute so soon into his leadership. There are echoes of the Airbus conflicts that captured the attention of Nicholas Sarcozy in the first week of his Presidency. The CWU’s Negotiating Team met with the Royal Mail’s Chief Executive Adam Crozier, and his Senior Management Team yesterday. The CWU reiterated to Royal Mail that it was prepared to reach an agreement that would move forward both the Union and Royal Mail’s position … The CWU impressed upon the company that there was no possibility of Royal Mail management successfully transforming the business unless both parties could reach an agreement that galvanises the workforce too. During the course of the meeting the Union set out its position and expressed its genuine concern about Royal Mail’s business plan and how it would result in a spiral of decline for the company, and the workforce … The CWU reminded Royal Mail that the Union was not alone in severely criticising Royal Mail’s business plan. A recent all-party Select Committee criticised Royal Mail’s leadership for lacking vision. Chief Executive Adam Crozier, responded by rehashing all of his previous statements and refused to enter into meaningful negotiations with the Union. The strike on Friday 29th June 2007, will go ahead. The old debate about technology and jobs continues. 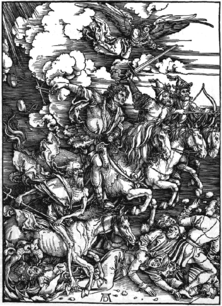 Innovation accompanies creative destruction, like Horsemen of the Economic Apocalypse. Maybe ultimately the job losses are compensated elsewhere. Which is no consolation to threatened workers. The perceived grievances of Royal Mail workers are easy to identify. As with Airbus, competitive pressures have triggered plans to reduce costs which threaten jobs. Allan Leighton has an appetite for self-publicity, as inspection of the Royal Mail website reveals. He presents himself as a dynamic (and somewhat terrifying) leader. In public he attempts to soften the image by implying he is very much one of a team, operating closely with CEO Adam Crozier. Their styles remind me of an earlier high-profile double act, Lord King and Colin Marshall at British Airways. The pugnacious King had also been confronted with an ailing BA facing vigorous competition. Like Leighton, King presided over job cuts on a similar scale, and had serious internal morale issues and Union conflicts. Colin Marshall, like Adam Crozier, had a more urbane style. Since his arrival, the Royal Mail has cut 30,000 jobs, shut thousands of post offices, and moved away from record annual losses that had reached £1bn. The various changes have been forced through against considerable opposition internally and externally. The changes have not resolved the fundamental problems of the corporation which remains in dire financial circumstances. It recently announced that the gap in its pension funds would be tackled by ending the corporation’s final wage pension scheme, another unwelcome move and one described as unilateral bullying by its Union leaders. In preparing this post, I held off from ordering a book from that well-known e-business Amazon. It could wait. Co-incidentally, Amazon could not wait for a better deal from The Royal Mail, and has recently switched a lucrative contract away. If the management’s resolve needed stiffening, that would have done the trick. Yesterday, those nice people from The Economist sent me an email. It apologized for any inconvenience caused by today’s postal strike, pointing out that I am eligible as a subscriber to access their on-line version, if I can’t wait for the delayed delivery through the Royal Mail. Royal Mail employees, like the rest of us, are facing an economic apocalypse. The current wisdom of the tribe is that we are seeing consequences of globalization. My examples illustrate some of the threats and opportunities cropping up, as the horsemen of the apocalypse gallop about, and technological changes sweep the countryside. Card-carrying optimists hold to the view that the human spirit, creativity and morally-grounded leadership will help us through the crisis.